Federico received his engineering degree from the Technical National University (UTN-FRBA) at Buenos Aires, Argentina in 2008. He has 9 years of experience in electronic designs, mostly in lab activities. He worked as a prototype designer for electronic circuits related to gas sensors, impedance meters and electrolyzers in the National Commission of Atomic Energy (CNEA-CAC), Buenos Aires between 2007 and 2008. In 2008, he moved to San Sebastián, Spain. There, he started his PhD studies in power electronics at CEIT, a research center of the University of Navarra. 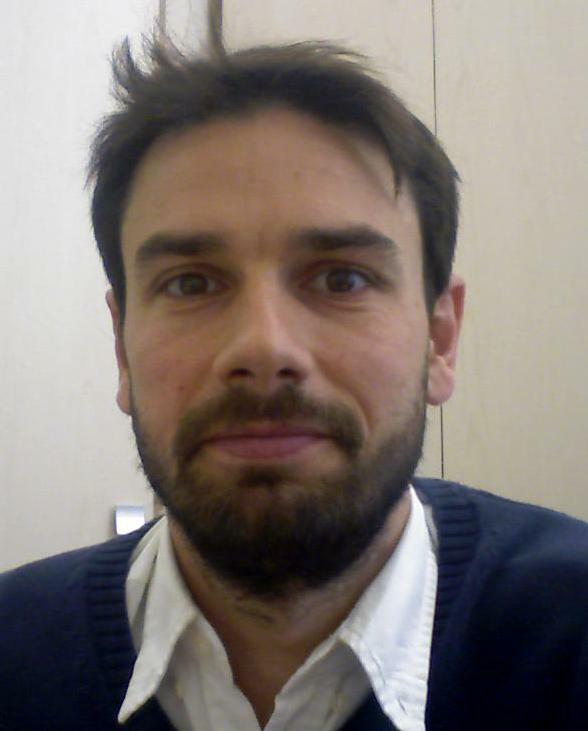 He has participated in several European and national and regional projects related to power electronics. In those projects, he designed, developed and tested several DC/DC and DC/AC converters for energy storage and electric vehicle applications in the range between 1 and 100 kW. In 2012, he completed his PhD thesis which proposes a step-up mode control method for bidirectional resonant series converters. By using the proposed method, this series resonant converters can be used in energy storage applications. The research resulted in a series of publications in peer-reviewed journals, mostly as a first author. Now, In Skoltech, he is leading the research in the microgrid lab. His main research areas are power electronics converters and microgrid control strategies. Power electronics architecture and control strategies. Ibanez, "Analyzing the need for a balancing system in supercapacitor energy storage systems," in IEEE Transactions on Power Electronics, vol. PP, no. 99, pp. 1-1.
doi: 10.1109/TPEL.2017.2697406. Available Online. URL: http://ieeexplore.ieee.org/stamp/stamp.jsp?tp=&arnumber=7909012&isnumber=4359240 Waiting for publishing. Florez-Tapia, A.M., Ibanez, F.M., Vadillo, J., Elosegui, I., Echeverria, J.M. "Small signal modeling and transient analysis of a Trans quasi-Z-source inverter" (2017) Electric Power Systems Research, 144, pp. 52-62. Astigarraga, D., Ibanez, F.M., Galarza, A., Echeverria, J.M., Unanue, I., Baraldi, P., Zio, E., "Analysis of the Results of Accelerated Aging Tests in Insulated Gate Bipolar Transistors", (2016) IEEE Transactions on Power Electronics, 31 (11), art. no. 7368210, pp. 7953-7962. Ibanez, F.M., Echeverria, J.M., Vadillo, J., Fontan, L., "State-Plane Analysis of Anomalous Step-Up Behavior in Series-Resonant Converters", (2016) IEEE Journal of Emerging and Selected Topics in Power Electronics, 4 (3), art. no. 7350097, pp. 1026-1034. Ibanez, F.M., Echeverria, J.M., Astigarraga, D., Fontan, L., "Multimode step-up bidirectional series resonant dc/dc converter using continuous current mode", (2016) IET Power Electronics, 9 (4), pp. 710-718. Ibanez, F.M., Echeverria, J.M., Astigarraga, D., Fontan, L., "Soft-switching forward DC-DC converter using a continuous current mode for electric vehicle applications", 2015) IET Power Electronics, 8 (10), pp. 1978-1986. Cited 2 times. Ibanez, F.M., Echeverria, J.M., Vadillo, J., Fontan, L., "A step-up bidirectional series resonant DC/DC converter using a continuous current mode", (2015) IEEE Transactions on Power Electronics, 30 (3), art. no. 6799996, pp. 1393-1402. Ibanez, F., Echeverria, J.M., Vadillo, J., Fontan, L., "Frequency response analysis for bidirectional seriesresonant DC/DC converter in discontinuous mode", (2014) IET Power Electronics, 7 (9), pp. 2374-2386. Ibanez, F., Echeverria, J.M., Vadillo, J., Fontan, L., "High-current rectifier topology applied to a 4-kW bidirectional DC-DC converter", (2014) IEEE Transactions on Industry Applications, 50 (1), art. no. 6548051, pp. 68-77. Ibanez, F.M., Vadillo, J., Echeverria, J.M., Fontan, L., "Anomalous step-up behavior in discontinuous series resonant converters", (2014) 2014 IEEE 15th Workshop on Control and Modeling for Power Electronics, COMPEL 2014, art. no. 6877176, . Astigarraga, D., Arizti, F., Ibanez, F.M., Galarza, A., "Online indirect measurement of ESR and capacity for PHM of capacitors" (2014) 2014 IEEE 15th Workshop on Control and Modeling for Power Electronics, COMPEL 2014, art. no. 6877185, . Arteaga, I.P., Martinez-Iturralde, M., Ibanez, F.M., Elosegui, I., "Analytical sizing methodology for inductive power transfer systems (2014) 2014 IEEE 15th Workshop on Control and Modeling for Power Electronics, COMPEL 2014, art. no. 6877222, . Ibañez, F.M., Vadillo, J., Echeverria, J.M., Fontán, L., "100kW bidirectional DC/DC converter for a supercapacitor stack", (2013) 2013 4th IEEE/PES Innovative Smart Grid Technologies Europe, ISGT Europe 2013, art. no. 6695246, . Ibanez, F., Vadillo, J., Echeverria, J.M., Fontan, L., "Design methodology of a balancing network for supercapacitors", (2013) 2013 4th IEEE/PES Innovative Smart Grid Technologies Europe, ISGT Europe 2013, art. no. 6695245, . Ibanez, F., Echeverria, J.M., Fontan, L., "Novel technique for bidirectional series-resonant DC/DC converter in discontinuous mode", (2013) IET Power Electronics, 6 (5), pp. 1019-1028. Ibanez, F.M., Echeverria, J.M., Vadillo, J., Fontan, L., "25kW DC/DC Converter applied to a supercapacitor stack", (2012) Electrical Systems for Aircraft, Railway and Ship Propulsion, ESARS, art. no. 6387429, . Ibáñez, F., Vadillo, J., Maiza, M.M.-I., Echeverría, J.M., "30kw DC-DC converters with regenerative mode for electric cars", (2012) Journal of Power Electronics, 12 (2), pp. 233-241. Ibáñez, F., Echeverria, J.M., Vadillo, J., Fontán, L., "High current rectifier topology applied to a 4kW bidirectional DC-DC converter", (2011) Conference Record - IAS Annual Meeting (IEEE Industry Applications Society), art. no. 6074355, . Ibañez, F.M., Arizti, F., Vadillo, J., Martinez-Iturralde, M., Echeverria, J.M., "5kW - 100 kHz resonant converter prototype for a 40kW energy system unit on tramways", (2010) International Conference on Electrical Systems for Aircraft, Railway and Ship Propulsion, ESARS 2010, art. no. 5665244, . 2012. PhD in Industrial Engineering from University of Navarra related to Power electronics, San Sebastian, Spain. Main research interests are power electronics architectures and control strategies.